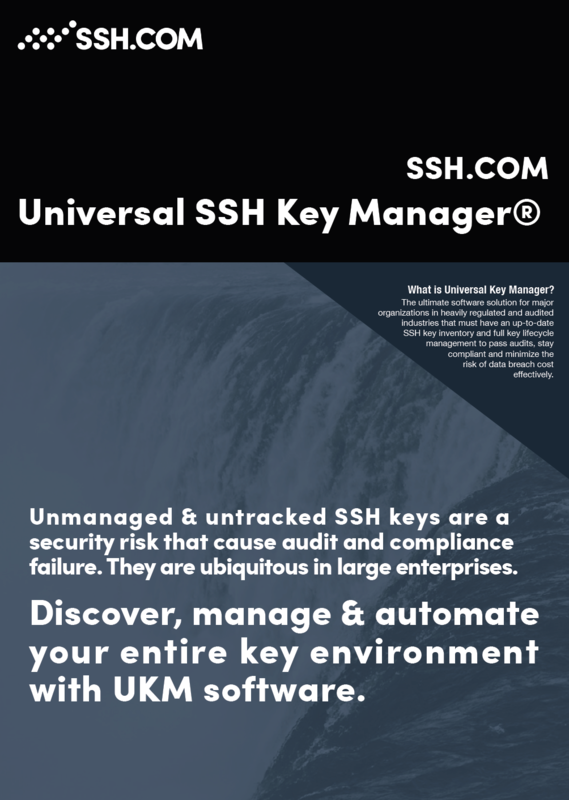 UKM is designed for large organizations to discover, manage & automate vast SSH key environments. UKM enables the world's leading financial institutions, retailers, industrials and other organizations to gain compliance and sail through audits. Learn more about UKM's powerful features and integrations in the datasheet.